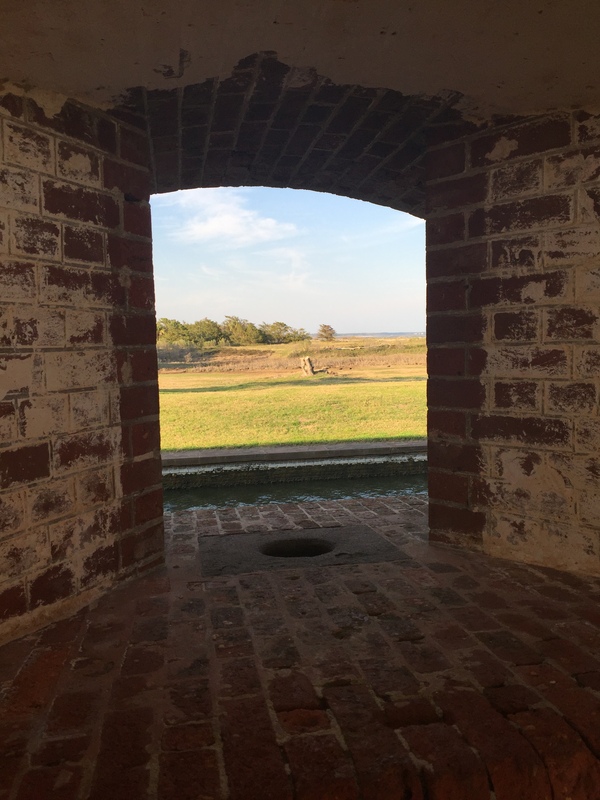 As we approached one of the windows overlooking a clearing and open water at Fort Pulaski near Tybee Island, Georgia on our honeymoon, the wind was gusting. To me, nothing new and heard it many times before. As I got closer I thought about previous generations of people and soldiers stationed here, looking through that same window and listening to that wind. Angela says to me ‘Just listen to the sound of the wind.’ My wife is a cancer survivor and she has shared with me the day she was diagnosed in December 2011 and was facing the reality of not being alive much longer; when she left the doctor’s office facing the reality of the end being near, everything sounded different. Children laughing, wind gusting, birds in the morning. Everything is brought into sharp focus and what seemed before to be nothing new and heard before, was new every time. Got me thinking…what a way to live life. As if you had only so much time and everything was new and each day was full of radical gratitude and worth your total pursuit. The challenges we all face in life are not initially seen as gifts, however as I have conveyed previously, through storms and fog purposes may find you. And when purpose does find you, the ability to sharing stories and making yourself vulnerable can serve others. Regrets. We all have them. Think of the most common ones you have at present. Is it not being true to, and having confidence in, yourself? Working more than you would like over precious time with those important to you? Been meaning to get back in touch with someone, an old friend you have known since childhood? Turning off your phone/email more to enjoy the present and what is in front of you? Worrying about what others think or trying to please them? Enjoying the outdoors or going camping more? Travel? Not asking that person out? Doing a job rather than doing what you love? Not taking care of your health as you should? Not visiting a friend before they died? The list goes on. Angela is also a paramedic and with her seeing life and death situations all the time, I recently asked her if she had ever been by the side of someone as they passed away. She has, and as they did she holds their hand to comfort them. As I listen and learn from her, I just grow in gratitude for her as my wife, and look forward to the years we have to listen to the wind. So, what would be the biggest regret if this was the last day of your life? A palliative nurse who has counseled the dying in their last days has revealed the most common regrets we have at the end of our lives. And among the top, from men in particular, is ‘I wish I hadn’t worked so hard’. Bronnie Ware is an Australian nurse who spent several years working in palliative care, caring for patients in the last 12 weeks of their lives. She recorded their dying epiphanies in a blog called Regrets of the Dying, which gathered so much attention that she put her observations into a book called “The Top Five Regrets of the Dying“. Take a breath, listen to the wind. What will you set out to achieve or change? The movie “The Blind Side” is a great inspirational story of Michael Oher who is an outstanding NFL player and left tackle, won the Super Bowl with the Baltimore Ravens. It is based on his book “I Beat The Odds”, and Tim McGraw portrayed his adoptive father, Sean Touhy. Live life to the fullest, have no regrets, and invest in the lives of others and those close to you. Angela and I are about to take a weekend to celebrate her birthday, celebrating another year she thought she would never see. It’s a big deal to her, and as one that prefers to have my birthday anonymously I have come to realize that birthdays should be big deals to all of us. 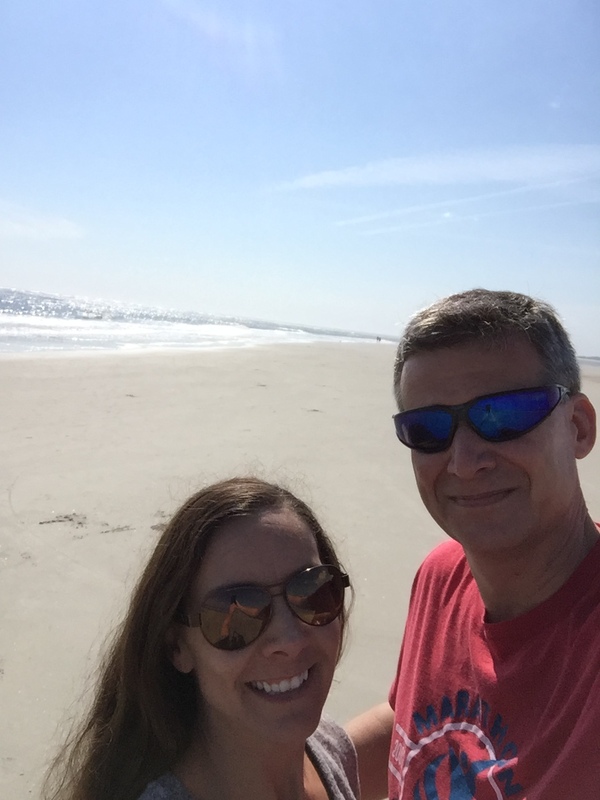 It’s a surprise where we are going, however we will certainly live with no regrets about the time we have together and take our time, and leave our phones and technology behind. Besides, would rather watch an eagle as it’s flying. Happy Birthday babe, and thank you for being who you are, and teaching me to listen to the wind. With you, I hear it as I never have before. Let’s go.